Dellinger RP, Levy MM, Rhodes A, Annane D, Gerlach H, Opal SM, Sevransky JE, Sprung CL, Douglas IS, Jaeschke R, Osborn TM, Nunnally ME, Townsend SR, Reinhart K, Kleinpell RM, Angus DC, Deutschman CS, Machado FR, Rubenfeld GD, Webb S, Beale RJ, Vincent JL, Moreno R. Surviving sepsis campaign: International guidelines for management of severe sepsis and septic shock, 2012. Crit Care Med. 2013; 41: 580-637. Arai Y, Martin-Ruiz CM, Takayama M, Abe Y, Takebayashi T, Koyasu S, Suematsu M, Hirose N, von Zglinicki T. Inflammation, but not telomere length predicts successful ageing at extreme old age: a longitudinal study of semisupercentenarians. EbioMedicine. 2015; 2: 1549-1558. Iinuma T, Arai Y, Abe Y, Takayama M, Fukumoto M, Fukui Y, Iwase T, Takebayashi T, Hirose N, Gionhaku N, Komiyama K. Denture wearing during sleep doubles the risk of pneumonia in the very elderly. J Dent Res. 2015; 94: 28S-36S. Miura Y, Hashii N, Tsumoto H, Takakura D, Ohta Y, Abe Y, Arai Y, Kawasaki N, Hirose N, Endo T; SONIC (Septuagenarians, Octogenarians, Nonagenarians Investigation with Centenarians). 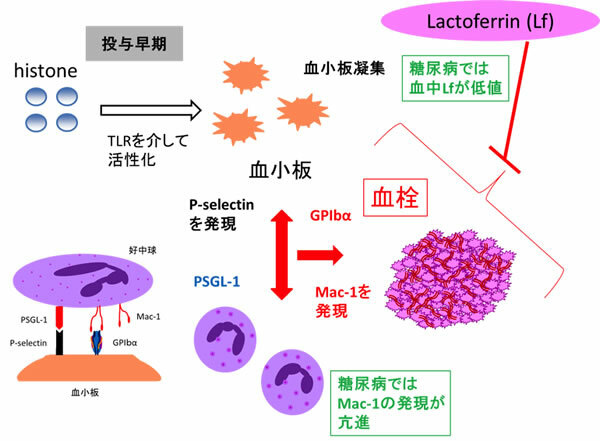 Change in N-glycosylation of plasma proteins in Japanese semisupercentenarians. PLoS One. 2015; 10: e0142645. Fuku N, He ZH, Sanchis-Gomar F, Pareja-Galeano H, Tian Y, Arai Y, Abe Y, Murakami H, Miyachi M, Zempo H, Naito H, Yvert T, Verde Z, Venturini L, Fiuza-Luces C, Santos-Lozano A, Rodriguez-Romo G, Ricevuti G, Hirose N, Emanuele E, Garatachea N, Lucia A. Exceptional longevity and muscle and fitness related genotypes: a functional in vitro analysis and case-control association replication study with SNPs THRH rs7832552, IL6 rs1800795, and ACSL1 rs6552828. Front Aging Neurosci. 2015; 7: 59. Takeshita H, Ikebe K, Kagawa R, Okada T, Gondo Y, Nakagawa T, Ishioka Y, Inomata C, Tada S, Matsuda K, Kurushima Y, Enoki K, Kamide K, Masui Y, Takahashi R, Arai Y, Maeda Y. Association of personality traits with oral health-related quality of life independently of objective oral health status: a study of community-dwelling elderly Japanese. J Dent. 2015; 43: 342-349. Fuku N, Pareja-Galeano H, Zempo H, Alis R, Arai Y, Lucia A, Hirose N. The mitochondrial-derived peptide MOTS-c: a player in exceptional longevity? Aging Cell. 2015 Aug 20. Morris BJ, Chen R, Donlon TA, Evans DS, Tranah GJ, Parimi N, Ehret GB, Newton-Cheh C, Seto T, Willcox DC, Masaki KH, Kamide K, Ryuno H, Oguro R, Nakama C, Kabayama M, Yamamoto K, Sugimoto K, Ikebe K, Masui Y, Arai Y, Ishizaki T, Gondo Y, Rakugi H, Willcox BJ. Association analysis of FOXO3 longevity variants with blood pressure and essential hypertension. Am J Hypertens. 2015 Oct 16. Okada T, Ikebe K, Kagawa R, Inomata C, Takeshita H, Gondo Y, Ishioka Y, Okubo H, Kamide K, Masui Y, Takahashi R, Arai Y, Thomson WM, Maeda Y. Lower protein intake mediates association between lower occlusal force and slower walking speed: from the septuagenarians, octogenarians, nonagenarians investigation with centenarians study. J Am Geriatr Soc. 2015; 63: 2382-2387. Hirahashi J, Hishikawa K, Kaname S, Shimosawa T, Suzuki K, Fujita T et al. Mac-1(CD11b/CD18) links inflammation and thrombosis after glomerular injury. Circulation 120:1255-65 (2009). Utomo A, Hirahashi J, Mayadas TN et al. Requirement for Vav proteins in post-recruitment neutrophil cytotoxicity in IgG but not complement C3-dependent injury. J Immunol 180:6279-87 (2008). Hirahashi J, Mekala D, Ziffle JV, Wagner DD, Shapiro SD, Lowell C, Mayadas TN et al. Mac-1 signaling via Src-family and Syk kinases results in elastase dependent thrombohemorrhagic vaosculopathy. Immunity 25:271-83 (2006). Fujishima S, Gando S, Saitoh D, et al. 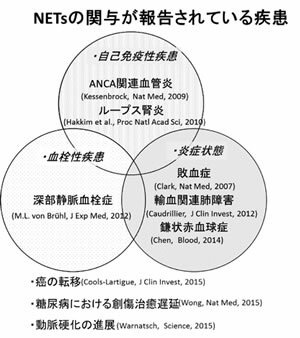 A multicenter, prospective evaluation of quality of care and mortality in Japan based on the Surviving Sepsis Campaign guidelines. J Infect Chemother. 2014; 20: 115-120. Fujishima S, Shiomi T, Yamashita S, et al. Production and activation of matrix metalloproteinase-7 in idiopathic pulmonary fibrosis. Arch Pathol Lab Med. 2010; 134: 1136-1142. Hayashida K, Fujishima S, Sasao K, et al. Early administration of sivelestat, the neutrophil elastase inhibitor, in adults for acute lung injury following gastric aspiration. Shock. 2011; 36: 223-227. Fujishima S. Epithelial cell restoration and regeneration in inflammatory lung diseases. Inflammation and Regeneration. 2011; 31: 290-295. Fujishima S. Pathophysiology and biomarkers of acute respiratory distress syndrome. J Intensive Care. 2014; 2: 32.